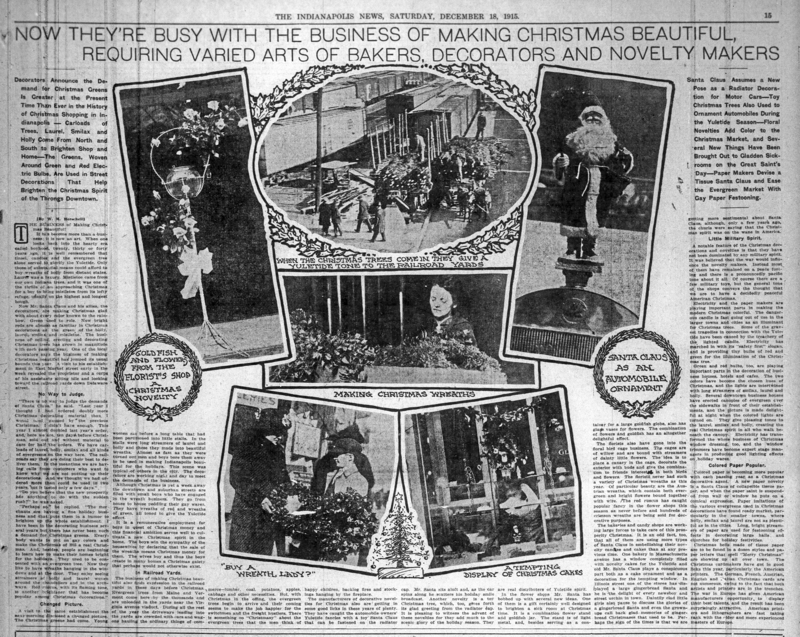 Many of the facets of Christmas as it is celebrated today existed a century ago. Although the holiday customs observed in 1915 have gone through some changes, current-day practices can be recognized in their erstwhile forerunners. 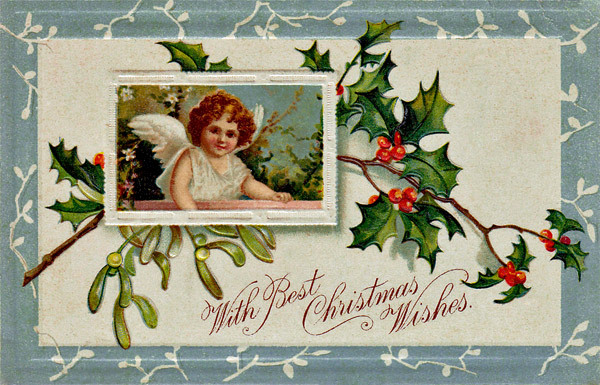 The greeting cards, decorations, carols, toys, games, food, advertising, entertainment, philanthropy, and church functions that are part of modern Christmas celebrations all had analogous precursors one-hundred years ago. 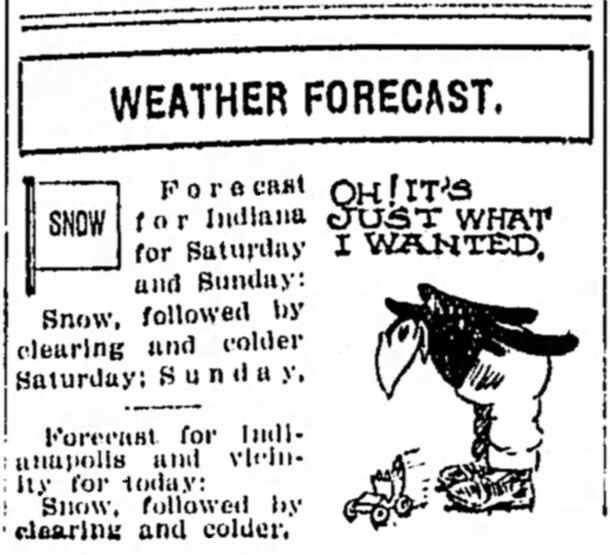 The popular song, “I’m Dreaming of A White Christmas,” wasn’t composed until a quarter of a century later, but that wish was clearly the sentiment of Indianapolis residents in 1915. 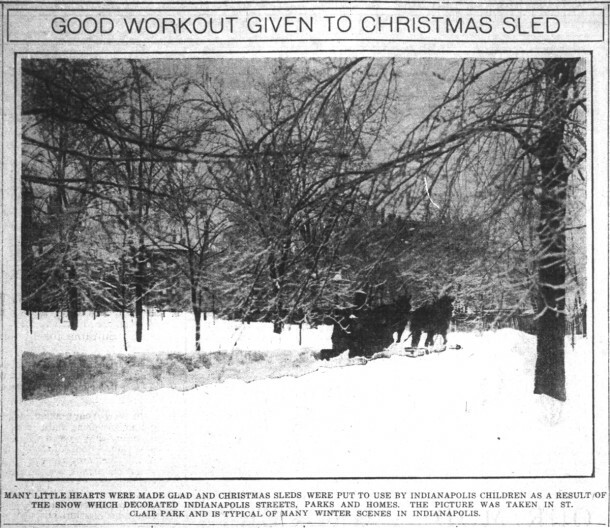 Newspaper articles in the weeks leading up to December 25th repeatedly noted that many were hoping for snow on Christmas Day. Apparently, Mother Nature complied. 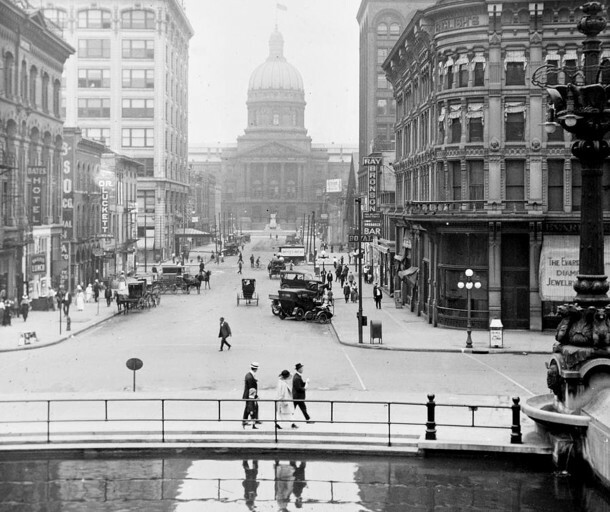 Images of Indianapolis that were photographed in 1915 and that also had snow on the ground are hard to find. The photo immediately below is looking northeast from the Telephone Company Building at New York and Meridian Streets. The street on the left angling into the distance is North Meridian Street. The street that crosses it near the middle of the photo is Vermont Street. The lot in the foreground with barren trees and no buildings is University Park. The building on the northeast corner of Meridian and Vermont Streets was the former location of First Baptist Church; today that congregation is located at 8600 North College Avenue. The building on the northwest corner of Pennsylvania and Vermont Streets was the former location of Second Presbyterian Church; today that congregation is located at 7700 North Meridian Street. 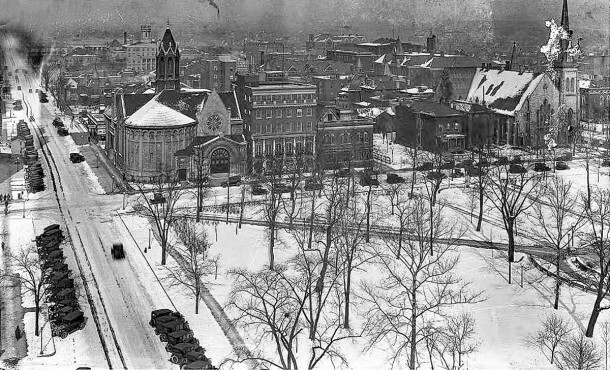 The block in which the churches were formerly located is now the site of the Indiana World War Memorial Plaza. 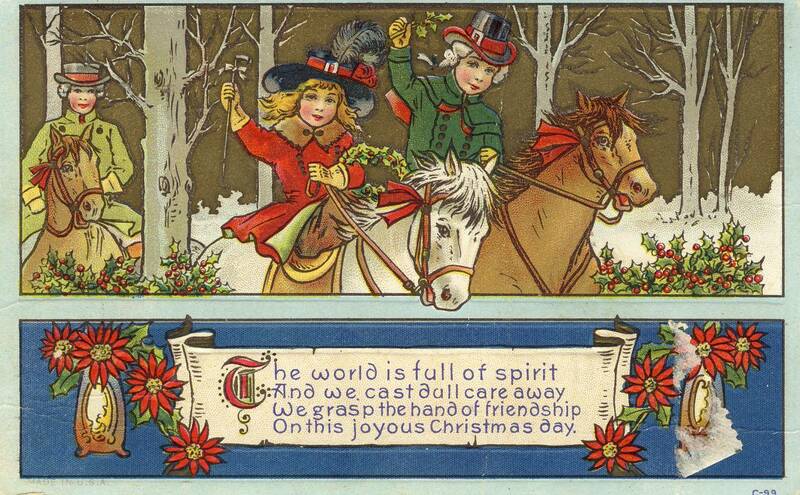 The custom of exchanging greeting cards and postcards during the holiday season was well-established by 1915. According to greetingcard.org, the first Christmas cards as we know them were sent in 1843 in England. 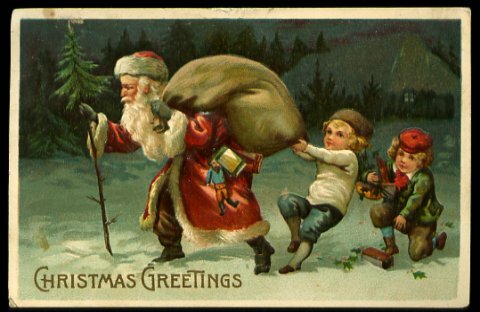 The first Christmas cards sent in the United States were created by the Prang and Mayer Company in 1874. Louis Prang (1824-1909) is considered to be the founder of the greeting card business in America. Below is another photo of downtown Indianapolis that was taken in 1915. Although there is no snow on the ground, this image is likely how the city looked on non-snow days. The view is looking west on Market Street from the Soldiers’ and Sailors’ Monument. A popular destination for shoppers in 1915 was the William H. Block Co. Department Store. 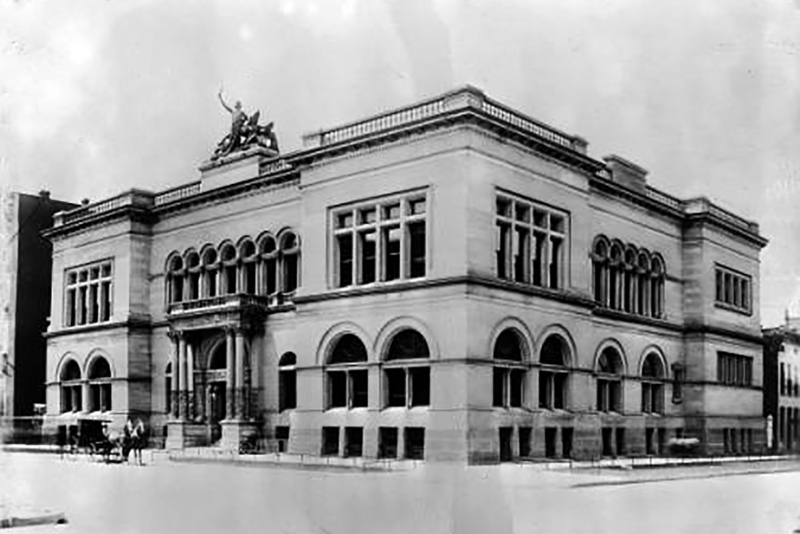 Located on the southwest corner of N. Illinois and W. Market Streets, the 1911 structure survives today. In the photo below, it’s the 8-story building to the left of the Indiana State Capitol. 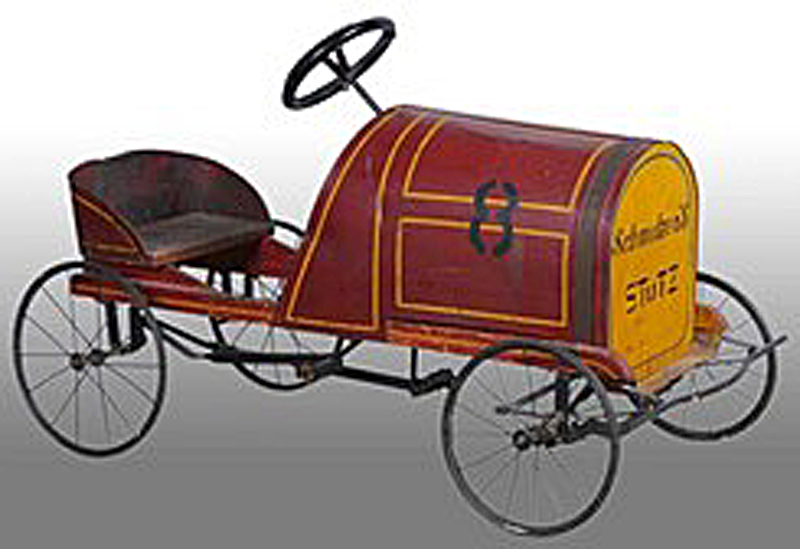 Although the number of motor vehicles in the City of Indianapolis was growing fairly rapidly, there were still many horse-drawn wagons and carriages in 1915. 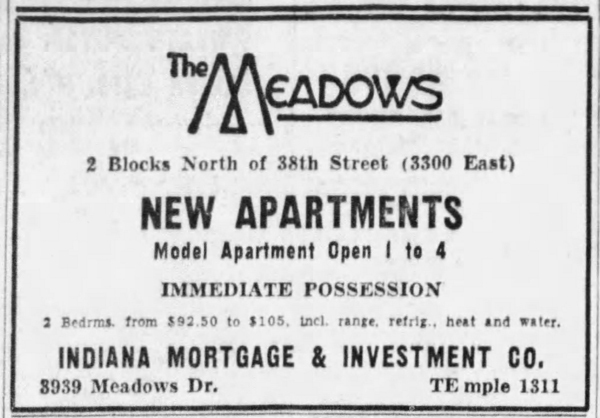 Liveries and horse stables were located in many neighborhoods until an ordinance prohibiting them within the city limits resulted in their either being converted to other uses or being demolished. Some Christmas trees were still being delivered by wagons in 1915. 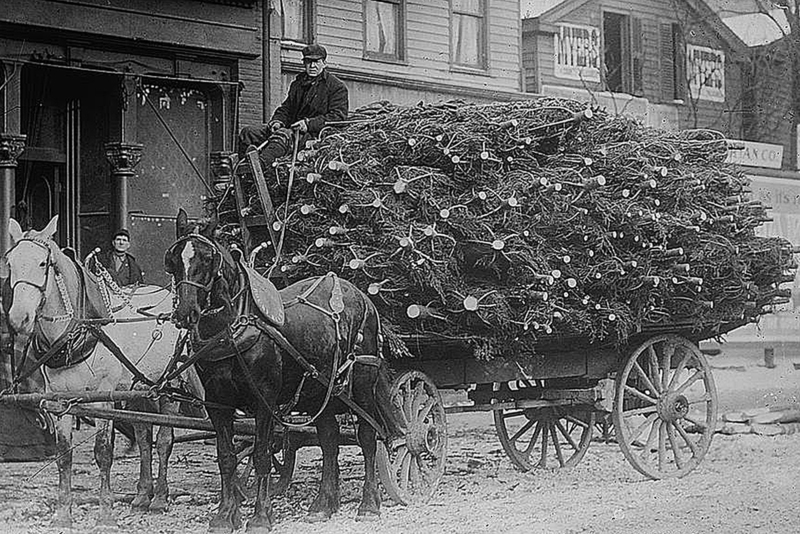 Christmas tree lights were first used in the 1880s, when an associate of Thomas Edison hand-wired some bulbs together and wound them around a tree. 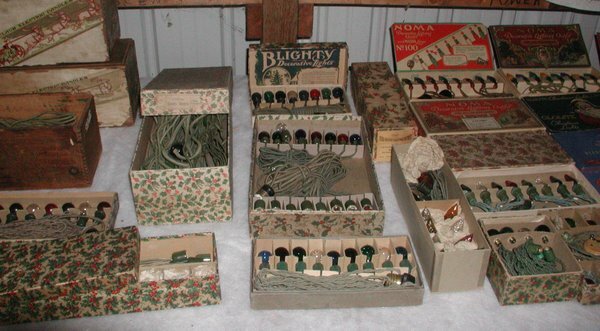 Subsequently, General Electric and the American Eveready Co. came out with limited supplies of light sets. It wasn’t until 1917, though, that Albert Sadacca of the National Outfit Manufacturers Association conceived of painting the clear bulbs in different colors and mass-producing them. NOMA dominated the holiday light market for over fifty years. 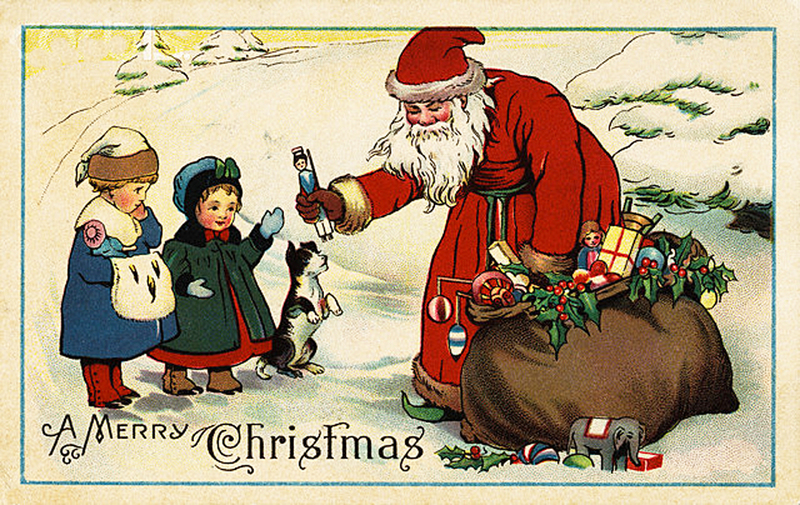 Giving presents has long been a Christmas tradition. 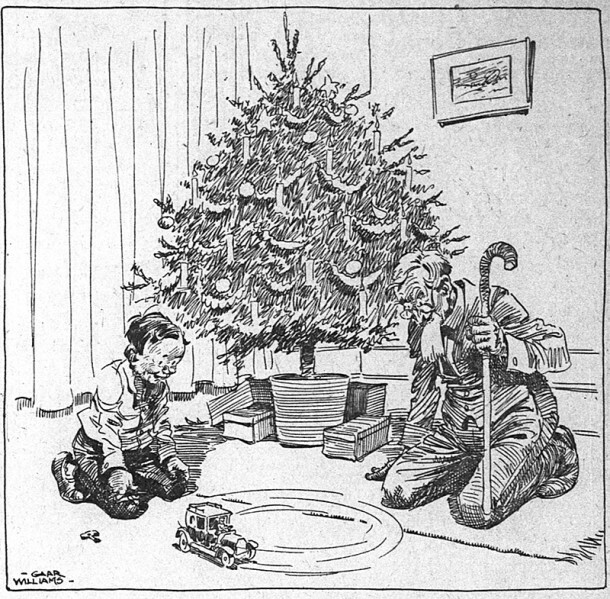 A century ago, a child would not have received as many gifts as a child does today. He or she might pick out one or two items that were new or were popular that year. In September of 1915, Indianapolis cartoonist and illustrator, Johnny Gruelle (1880-1938), received a patent for his Raggedy Ann doll. 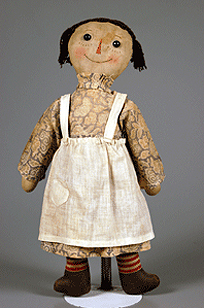 A companion book, Raggedy Ann Stories, followed, as did a second doll, Raggedy Ann’s brother, Raggedy Andy. The set of dolls and book became a big hit. 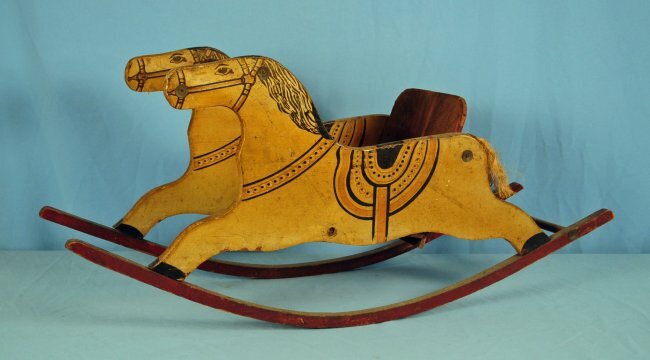 Other toys popular in 1915 were pedal cars, rocking horses, model trains, and table games. Another item that was popular in 1915 was Tinkertoy. 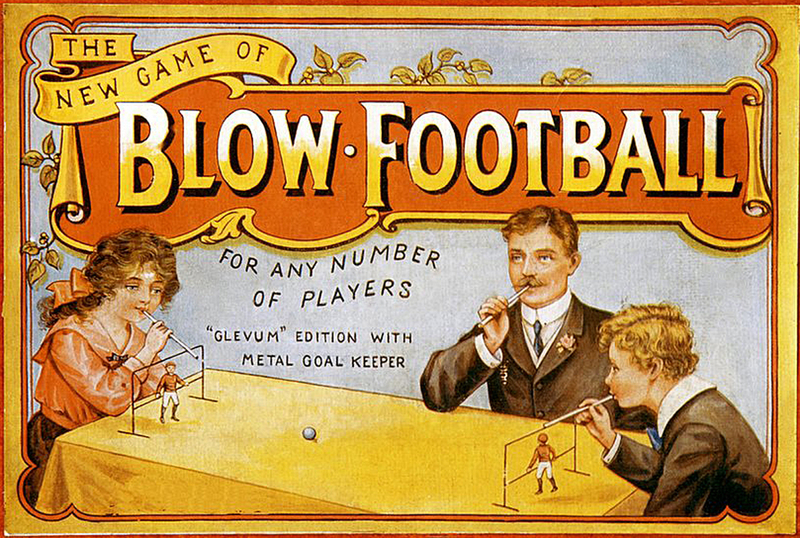 Although created in 1914, it took a year or two to catch on. Tinkertoy has since sold millions of sets. It was inducted into the National Toy Hall of Fame in 1998. 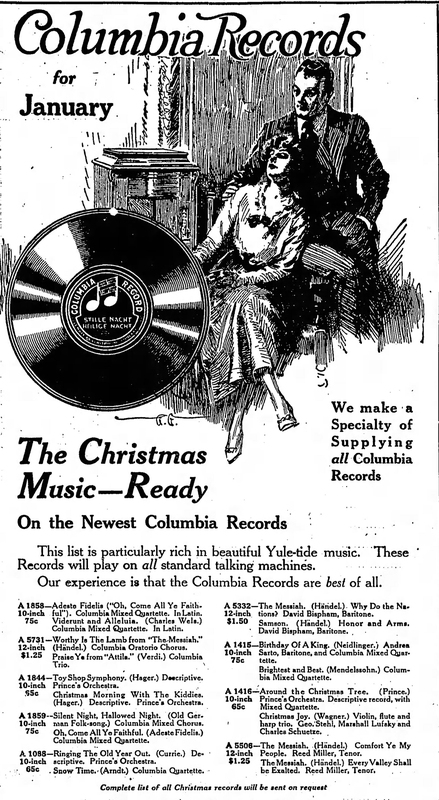 Music was popular at Christmastime in 1915. 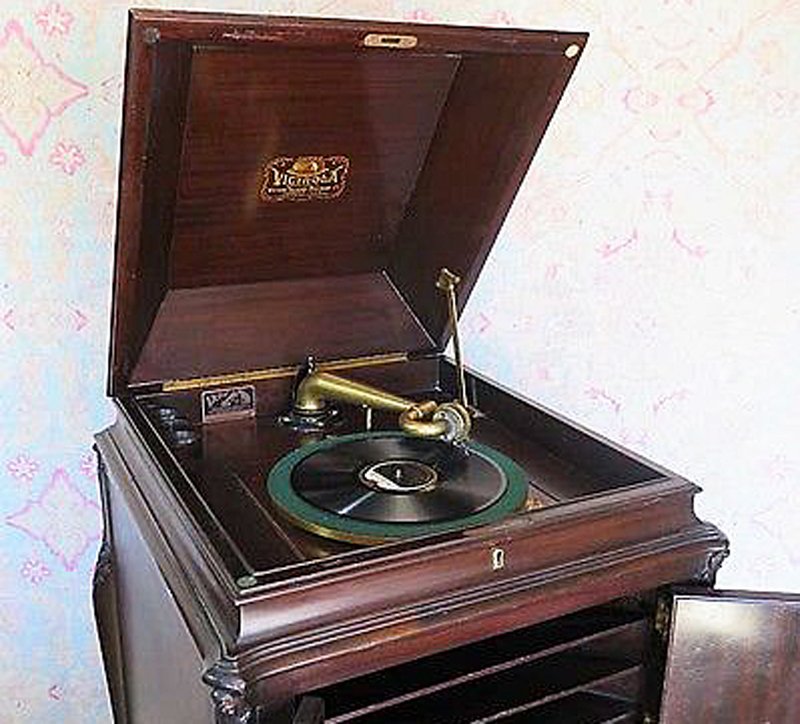 Record companies put out recordings of holiday music, which could be played on a Victor or Victrola phonograph set. In 1929, Radio Corporation of America (RCA) purchased the Victor Talking Machine Company, and the new entity became RCA-Victor. One of its plants was located at 501 North LaSalle Street. A 1915 publication called Mrs. Beeton’s Book of Household Management recommended a Christmas dinner menu. 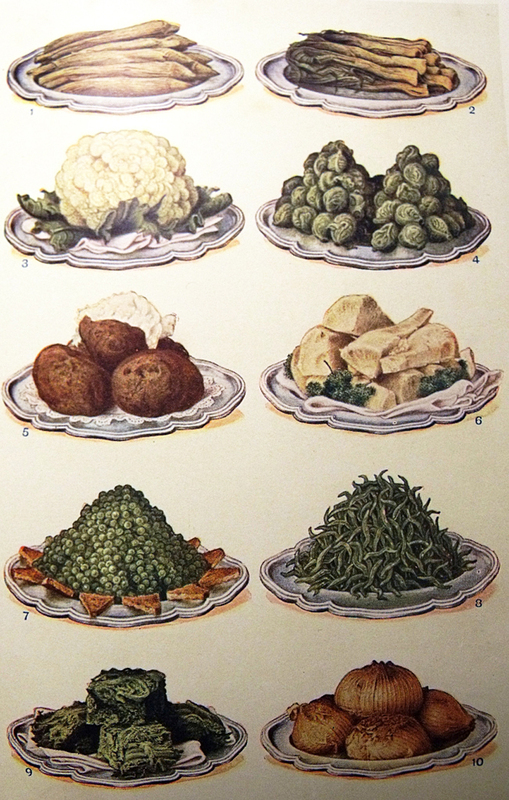 The book provided the following page to illustrate the vegetable dishes. Some of the food items that were delicacies a century ago are available year round today. 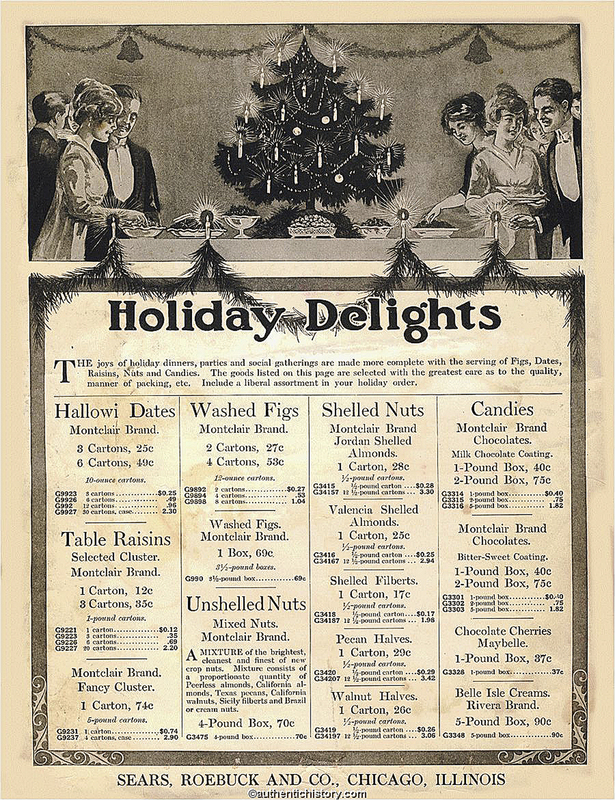 A century ago, though, dates, raisin, figs, nuts, and candies, as well as citrus fruits like oranges and tangerines, were special treats on which people splurged during the holidays. In 1915, shoppers could buy food items from the Sears, Roebuck and Co. catalog or in one of its retail stores. 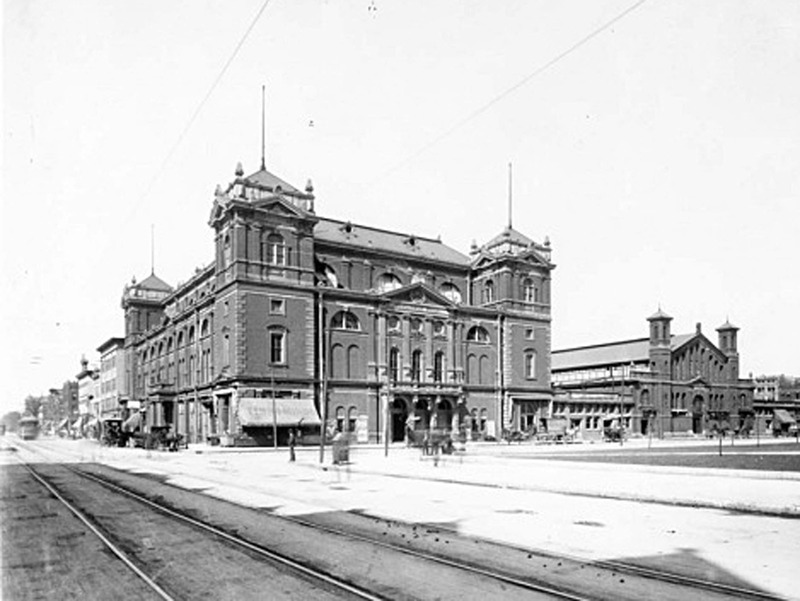 Milton Hershey learned how to make chocolate after discovering it at the 1893 World’s Columbian Exposition in Chicago. He introduced the Hershey’s Milk Chocolate Bar in 1900, Hershey’s Kisses in 1907, and Hershey’s Milk Chocolate with Almonds Bar in 1908. 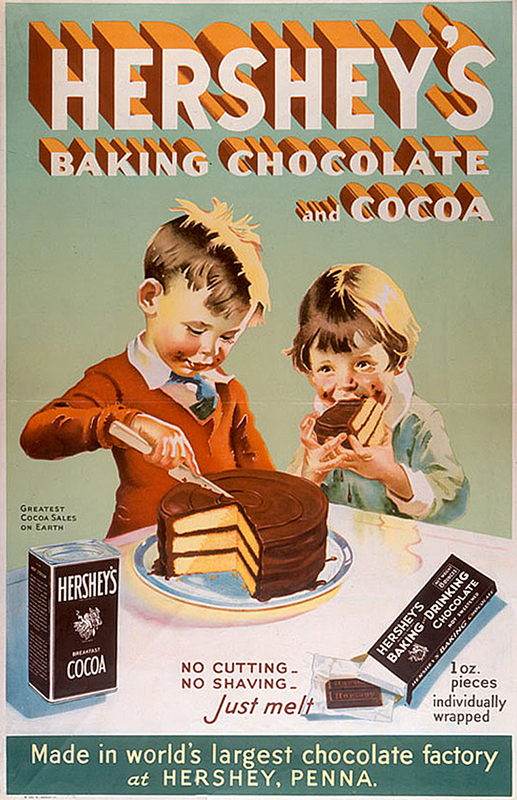 By 1915, Hershey’s was selling chocolate products that consumers could use in their own cooking and baking projects. Live theatrical performances also became available in 1915, when the Little Theatre Society of Indiana was founded. 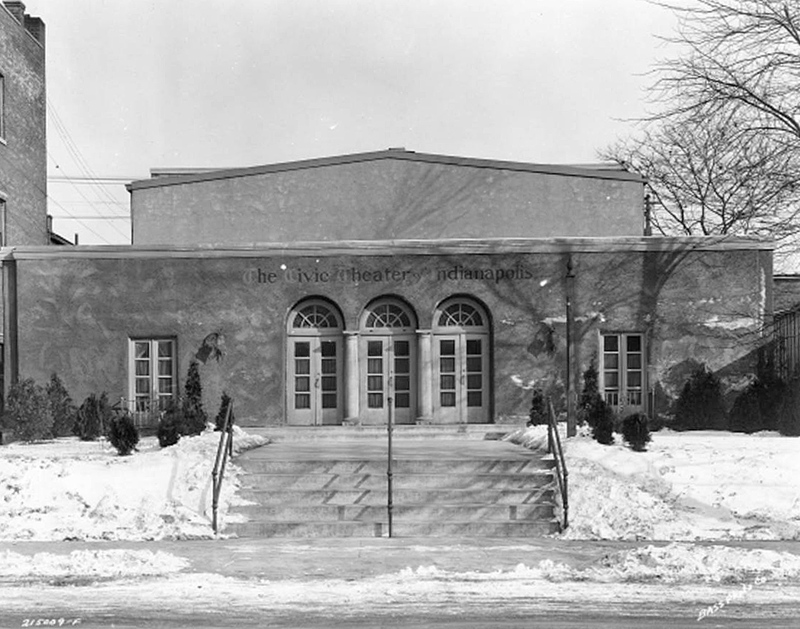 The organization was later renamed the Booth Tarkington Civic Theatre, the name by which it continues to be known today. The group initially gave its performances at the John Herron Art Institute but soon built its own building just four blocks away, at 1847 North Alabama Street. It remained in the Herron-Morton Place facility for half-a-century. Today the former Civic Theatre building is home to Footlite Musicals. 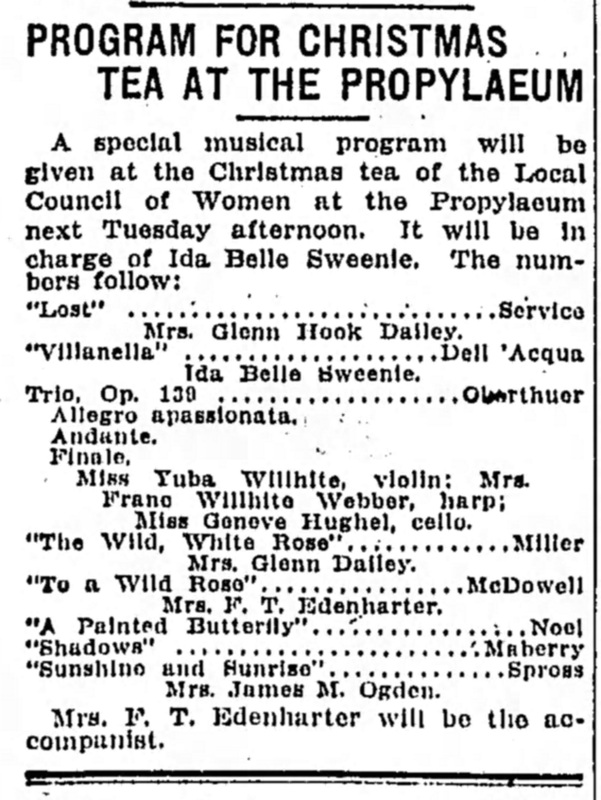 Special events featuring music were held by local organizations in 1915. Indianapolis citizens were also sensitive to the fact that some families could not afford presents for their children. Charities like the Indianapolis Star’s Santa Claus Fund had the goal of making sure all Indianapolis children received something under the tree or in their stockings. 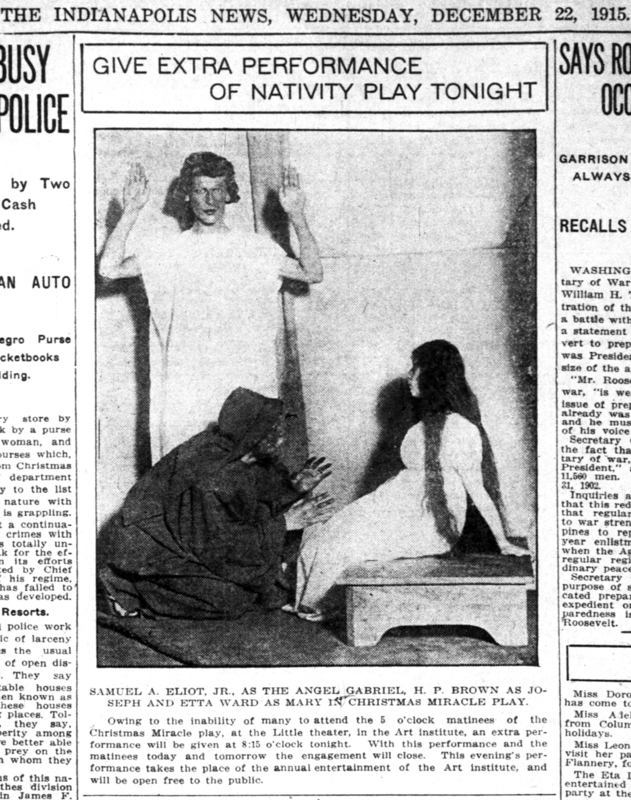 There are undoubtedly many other examples of the ways in which present-day Christmas practices reflect earlier times. Readers are encouraged to leave comments below about any similarities or differences they might be able to identify. NextAt Your Leisure: Third Time’s a Charm? Incredibly interesting, Sharon. Thanks for all the research. Merry Christmas. Thanks, Bob. Merry Christmas to you, too. Excellent article, but….What? No photos of electric trains around a Christmas tree? 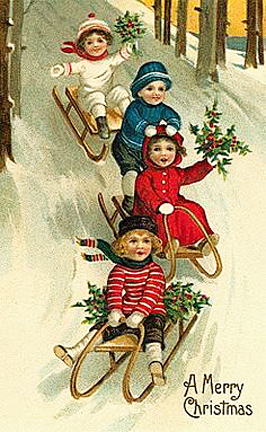 From the first decade of the 20th century electric toy trains were a part of every young boys and family celebration of Christmas in Indianapolis. The tradition even continues in many homes today. I expected trains to come up in my research of toys and games, but they did not. I tried “model trains 1915” and “Lionel trains 1915” and “trains under Christmas tree 1915” but got no hits. I will do some more searching with different search terms to see if I can find any images. Hi Sharon–loved this article!! Great photos of the old toys, the cards, and the downtown street scenes. Very interesting and very festive!! Have a great Christmas and a happy and healthy New Year!! Thank you, Esther. Best wishes to you and Diana, too. I really enjoyed reading this article. Really put me in the Christmas spirit! Thanks Sharon for all your work on it. I enjoyed, as well as appreciated, the opportunity of reading your article as well as newspaper clippings about Indianapolis, December, 1915. I am trying to find photos/collection by H. Bass Photo Collection for December 29, 1915. I would appreciate any information you can provide me for December 29, 1915. Thank you and best wishes to you for a very Happy New Year. You can search the photos that the Indiana Historical Society has mounted on its website yourself at http://images.indianahistory.org/cdm/. However, the IHS has many more photos in its collection than just those currently uploaded to the Internet. 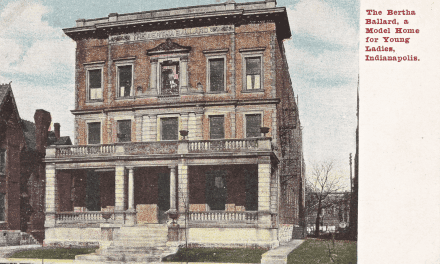 A phone call or visit to the William Henry Smith Library at 450 West Ohio Street might result in your learning about other William H. Bass Photo Company images. Regarding information on December 29, 1915, as well as information on Roscoe Turner and the Weir Cook Municipal Airport, that would require some research on my part. HI Mailbag answers are answered in chronological order of their receipt at historicindianapolis@yahoo.com. Currently, there are quite a few questions in the queue. If you will send your questions (one subject at a time) to the HI e-mail address, we will get to it as soon as we can. Hope you have a Happy New Year too. Great article, Sharon. It’s just as apropos now in 2016 as it was last year.